Liberia: Justice Ja’neh Removed from Office, Now What About Annie Constance’s Property? MONROVIA – The alleged illegal buying of mother Annie Constance half lot of land by impeached Justice of the Supreme Court was one of the four counts that made up Justice Kabineh Ja’neh, a former Justice of the Supreme Court, impeachment trial. Interestingly, it was not one of the things that held him guilty. In the Liberian Senate’s wisdom, the land case was not an issue to have held the impeached Supreme Court Justice liable for and they voted not guilty to clear him of what the House of Representatives saw as a crime and impeachable offense. This article focuses on the story of the 94-year-old widow who many critics believe her situation was used by the House of Representatives to prove a case and it was not about giving her justice. During her testimony, in tears of course, she cried out to the Senate to help get her land back. According to her, her late son sold the property in her absence in 1996 while she was seeking refuge in neighboring Ivory Coast. All old lady Constance wants is her property, at least before she dies. That’s her last wish. As it is, the Senate has said, by their verdict, Ja’neh did not wrongfully acquire the property. To the aged widow, pleading with the Senators in the chambers was a day of redemption. At least in her world, she saw people trying to help her against one of the most powerful officials of the Liberia Government, a Justice of the supreme court of Liberia, but that was to the contrary as prosecutors had their own motives. The Supreme Court Justice was found guilty for granting a Writ of Prohibition petitioned by petroleum dealers in the country to stop the collection of levy/taxes of US$0.30 (Road Fund) imposed on the pump of petroleum products. Twenty-two Senators voted to remove Justice Ja’neh, four voted against his removal, while three abstained from the process amounting to a total of 29 Senators. Guilty means, at least two-thirds of the total current membership of the Senate voted to convict Justice Ja’neh on the charge of official misconduct. Not guilty means, less than two-thirds of the total current membership of the Senate voted for the conviction of the Associate Justice on the said charge. The summary of the Senate’s decision which was read by Bong County Senator Henry Yallah indicated that on the count of the Road Found, Associate Justice Ja’neh has been guilty by the Liberian Senate of impeachable offense of official misconduct and gross breach of duty. However, the Senate noted that Justice Ja’neh was acquitted by the Liberian Senate of the charges of official misconduct and gross breach of duty in the theft of records of the House of Representatives, impeachment prohibition and the Constance Land Cases, respectively. Mother Constance interest was to get her land back. She had no knowledge of the politics surrounding the case and why Ja’neh was being tried. 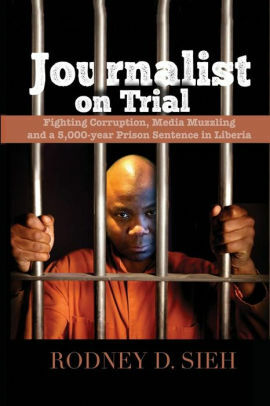 The result may not have been what many anticipated, but it is no secret that the case has gone down in the history of Liberia as a landmark case not because it is the first in many years, but it was a case between poor Annie Constant and a powerful Justice of the Supreme Court of Liberia – something many see as unprecedented in the Judiciary sector of Liberia. 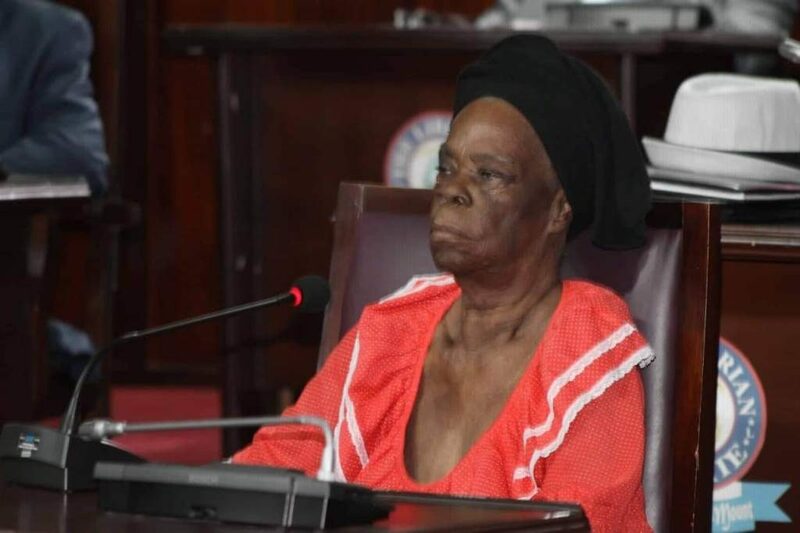 In her testimony, the old lady confirmed that late Constance Junior was her biological son and that he sold the parcel of land belonging to her and her late husband without her consent. The sale took place while she was out of the country as a refugee. According to her, upon her return, she tried all she could to seek audience with Justice Ja’neh to find an amicable solution to the situation even if it meant paying back his US$3,000 he paid for the property. All along, lawyers representing the legal interest of Justice Ja’neh maintained that their client is innocent of the charges and that the counts he was being tried for are not impeachable offenses and prayed the Chief Justice to dismiss the case. But on many occasions, he (Chief Justice) rejected the plea because, according to him, he is only a presiding officer in keeping with the Constitution and the decision will be made by the Senators who are the jurors of facts in the case.